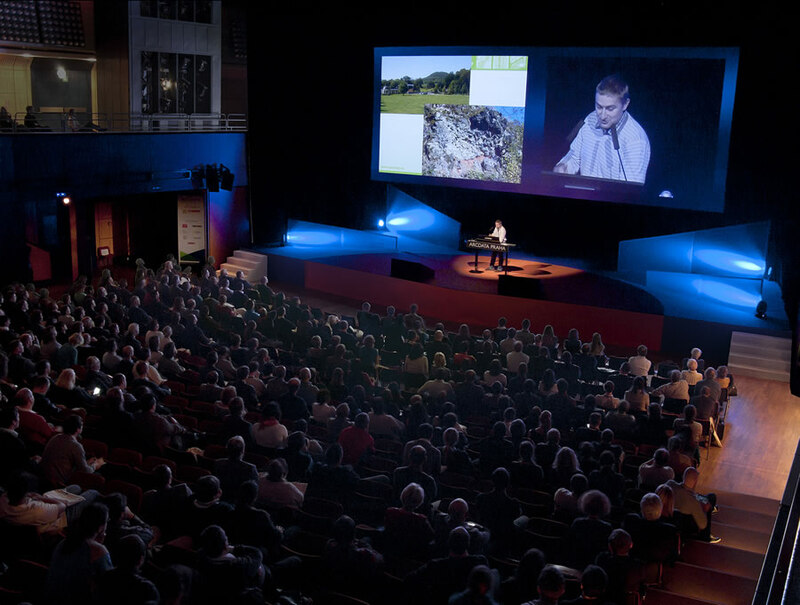 A large crowd gathered November 13-14, 2013, in the Prague Congress Centre to hear speakers talk about the many uses of geospatial technology. 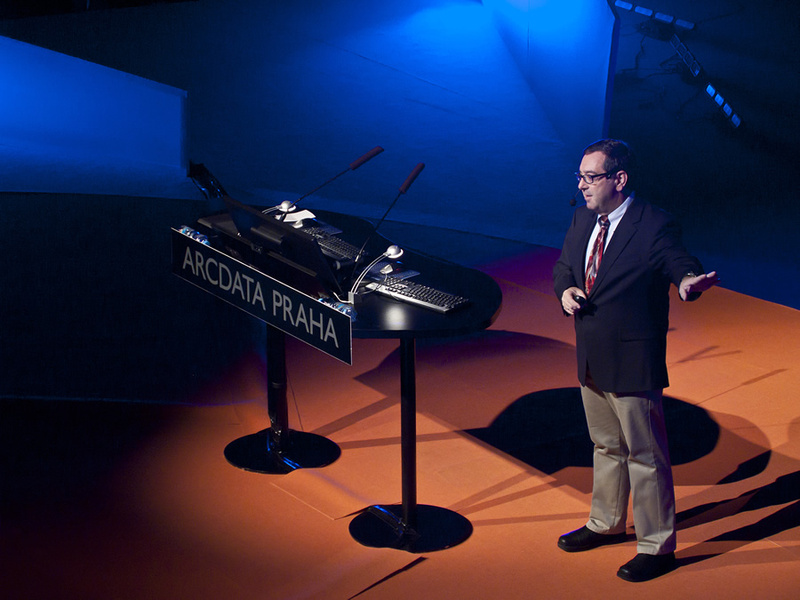 Leading Czech political scientist Tomas Lebeda showed how Esri ArcGIS helped him spatially analyze how people voted in the recent legislative elections in his country when he took the stage at the Czech Esri User Conference in November 2013. 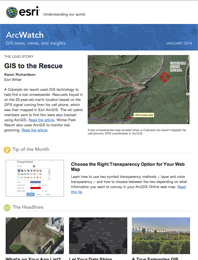 Lebeda used other Esri software and tools for the project, including ArcGIS 3D Analyst’s ArcScene, the Export To Web 3D Scene tool, and the CityEngine Web Scene Viewer in Mozilla Firefox. 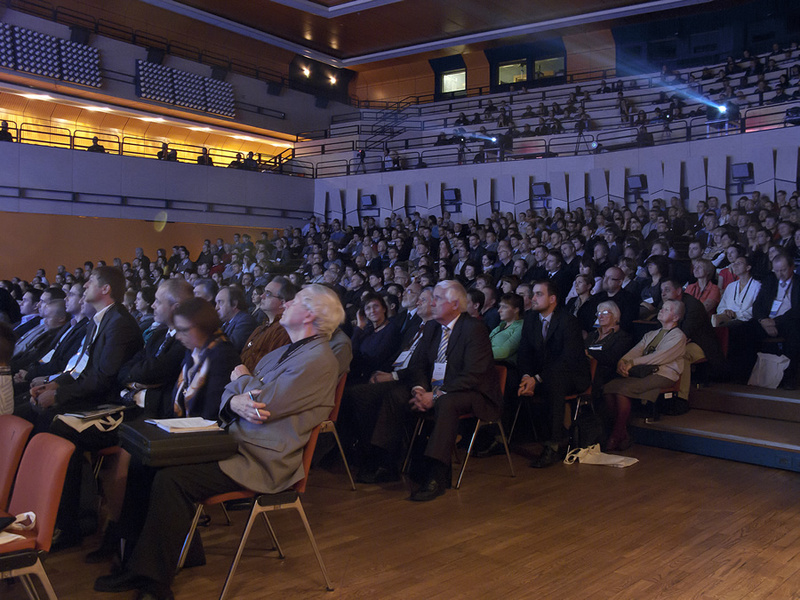 A rapt audience listens to a speaker at the Czech Esri User Conference. Although the Czech Republic is a small European country, geospatial science is quite popular and advanced there. The event marked the 22nd year for the conference, which regularly attracts nearly 1,000 GIS professionals. 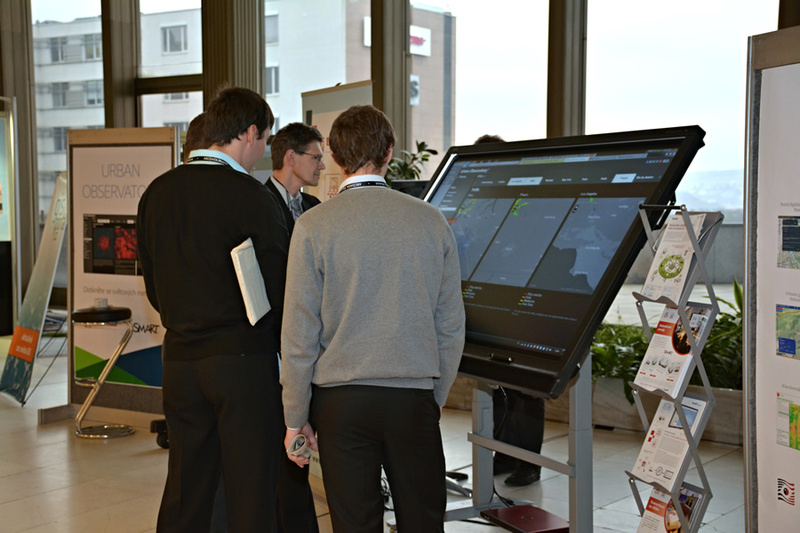 People attended a variety of presentations, technical workshops, demonstrations, and seminars. Bern Szukalski, an Esri technical evangelist and product manager based in Redlands, California, USA, spoke to the crowd about web GIS, ArcGIS Online, and current trends in GIS technology. Technology evangelist Bern Szukalski from Esri headquarters in Redlands, California, brings his message about web GIS to Prague. The CEZ Group, the largest utility provider in central Europe, with seven million customers in the Czech Republic, Romania, and Bulgaria, is currently implementing GIS as a core enterprise system. During the conference, CEZ Distribution Services, a member of the CEZ Group, gave a presentation about its mobile GIS implementation based on ArcGIS 10 for Windows Mobile. The application helps crews orient themselves in the field and find the correct electric meters they need to locate. This mobile solution reduces the need to produce paper maps that constantly had to be updated and reprinted, saving money and time. Szukalski talked about how web GIS will make web maps a new medium in which to communicate with colleagues, decision makers, and the public. 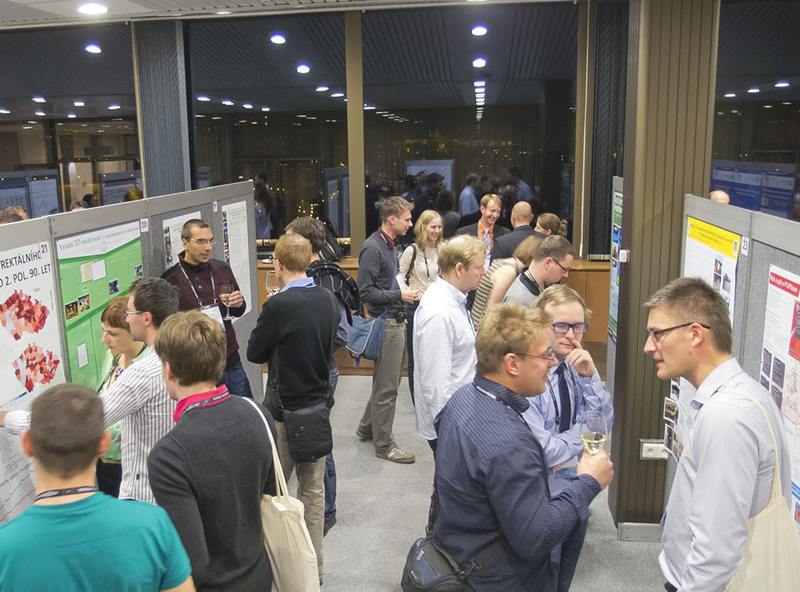 The Czech Geological Survey won an award for an organization-wide implementation of GIS. Jiri Cernohorsky, director of the Czech Land Survey Office, received an award for his lifelong contribution to the development of GIS in the Czech Republic. Some attendees met to hear an update about the Czech National Spatial Data Infrastructure (SDI) project, which should be completed by 2020. Attendees were able to leaf through the pages of the large and colorful new Landscape Atlas of the Czech Republic. Attendees compare data about cities using the Urban Observatory. The Map Gallery was a popular exhibit.